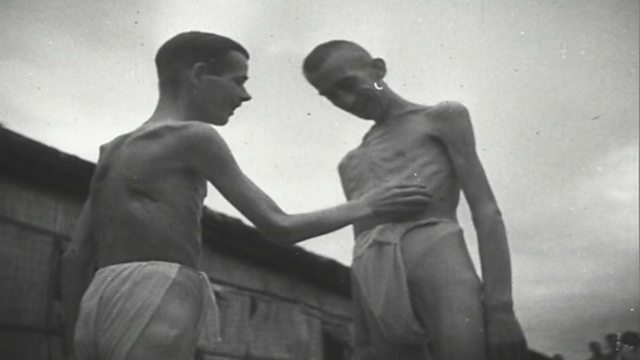 BBC World Service - Witness History, Surviving the "Death Railway"
A former British prisoner of war describes the Japanese cruelty and neglect which led to thousands of deaths as captured soldiers built the "death railway" in World War Two. During World War Two the Japanese forced prisoners of war to build a 400 kilometre railway from Thailand to Burma. Tens of thousands died during the construction and it became known as the "death railway". A former British prisoner of war, Cyril Doy, told Claire Bowes how he survived sickness, starvation and humiliation while building the famous railway bridge over the River Kwai.